Imagine walking through your new oasis, and having one of the most outstanding views of the ocean. The ocean is so hypnotic, that nothing else seems to exist but you and the moment you are in. You could sit for hours listening, and hearing the ocean playing like a symphony to your ears. The view off of the deck is first the blue glimmering pool, followed by the ocean and island landscape. This is something that everyone must experience in a lifetime, if not as often as possible. 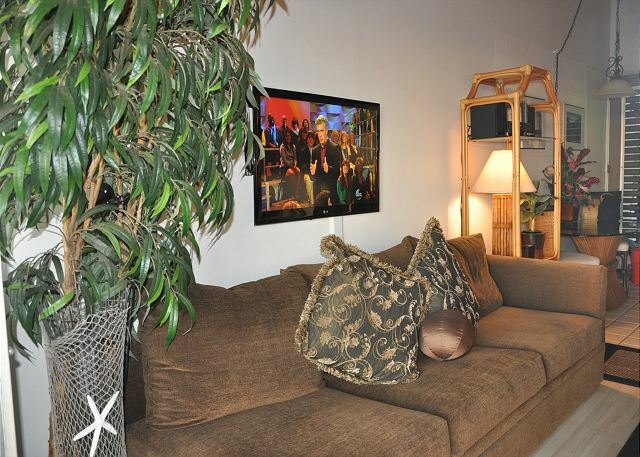 Inside our place, you will find beautiful, new furnishings throughout. Brand new bedroom features such as new bed, lamps,night stand. The living room is now for couples. Honeymooners to long time marriage anniversary celebrations. New amenities include more than simply comfortable couches and chairs. Big screen t.v.with blu-ray player. And of course, the view of a lifetime. We know you will be more than satisfied! When you are not in the condo there are many activities, which include many surrounding World Class golf courses, to 5 star dining. Some say that whale watching is some of the best in the World. We have giant Sea Turtles, Birds, Dolphins, and many other forms of Mother Nature. 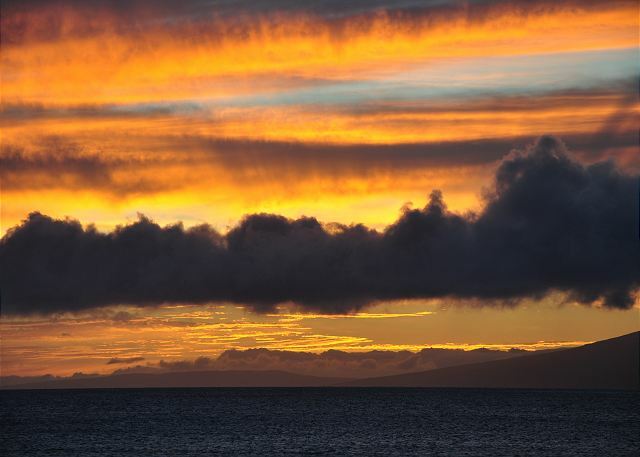 We are only minutes from the historical town of Lahaina, and lovely Kaanapali. There is lots of shopping, Food, Fun, Art, and Recreation. But if you would like to relax you can go back home to be hypnotized by Mother Nature, at our lovely condo. Finish off the evening BBQing under the stars, and standing just a few feet from the ocean. Life doesn't get any better than this. So please come relax and enjoy a life that is calling you. 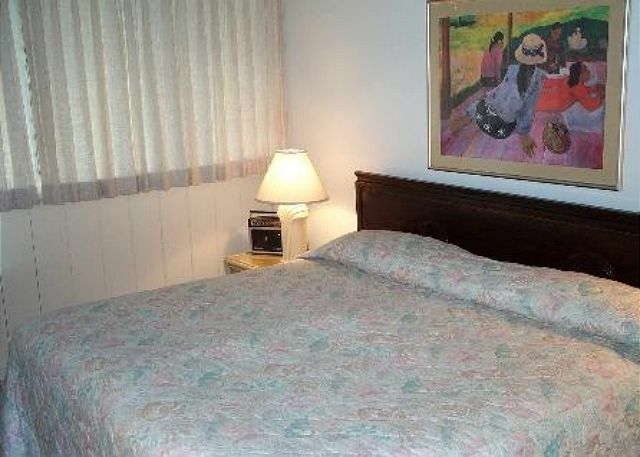 Rates for this unit are based on two occupants, (additional $20/night/person), and also vary depending on season, length of stay, and whether booked at the last moment. Please specify your desired dates and number of occupants on the "Rates & Availability" tab to obtain a quote for your specific circumstances. 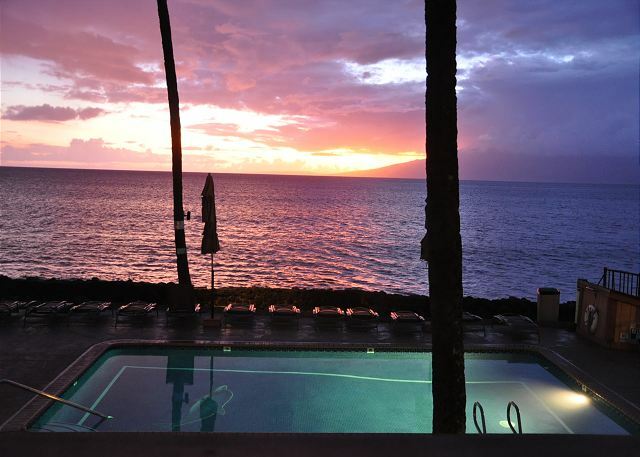 This was our 2nd visit to Hale Kai, first stay in #217, and it was a perfect fit for our family. My wife and I were comfortable in the master, and our two boys (10 and 8 years old) were more than cozy on the two sofa's that are actually impressively comfortable beds. I even slept on the large couch one night and I almost preferred it to the king bed, I'm 6'1. Cannot recommend Hale Kai highly enough...we will be returning ASAP. Be back next year for 2 weeks!! A private pool and beach, whales breaching in the background, and sea turtles right on our property- best place around! it was all awesome... best location. Unit #217 could use some upgrades, i.e. bathroom. Top Notch stay at Hale Kai. A little gem. Room 217 definitely needs a freshening up as most of the other condo owners have already done to theirs. The bathroom has needs and should be updated. It's quite easy when walking around condo 217 to see what should be taken care of and or remodeled. Another great stay at the Hale Kai! My husband and I had a great experience at the Hale Kai! Unit 217 had beautiful views of the sunset and the water. The unit was well equipped with supplies and guidebooks. We couldn’t have asked for anything better! Getting use to no air wasn't as hard as I thought it would be, during 3-5 was the hottest time.. overall the condo was comfortable and clean.. bathroom could be updated the cabinet was falling apart and the shower would be much nicer with tile instead of the insert but it was acceptable and the price was great..
Hale Kai 217, great spot!!! Very nice condo for the price. If you are looking for opulence, this isn’t your place. If you are looking for a cute, clean, functional condo with a great view this is the ticket. Was a little worried about no air conditioning, but even in mid July it was very comfortable without air. This was exactly what we were looking for. With the balcony looking out to the ocean and having a decent size living room space, our family of 4 were very comfortable. Having the kitchen was perfect so we didn't have to eat out for every meal. Even being able to bbq a few of the nights was great! We will be back and always recommend this location. And then ocean. 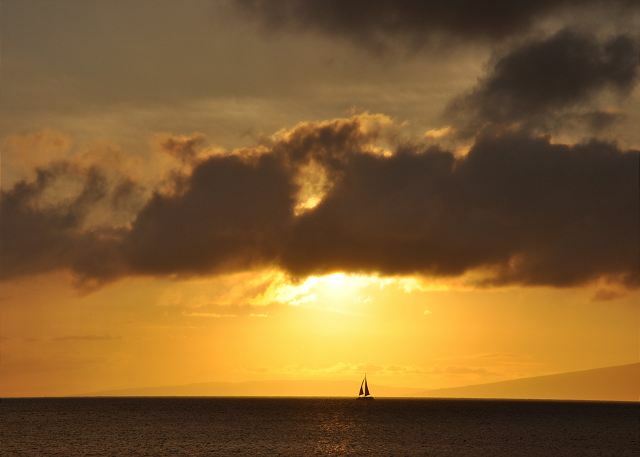 It was located between Lahaina and Kaanapali. It had all we needed in it, it is a little dated and could use a spring cleaning , it was clean but the corners and behind the dressers and in the drawers could be cleaned but really not a big deal. There are the nicest people there, front desk lady was so accommodating and if something needed fixing it was so done! Highly highly recommend this place. We will be back! My stay at Hale Kai, 217, was very nice! The room and view were totally as described, very comfortable and had a fully equiped kitchen. The bed was comfortable and the bathroom was sufficient. The other tenants were all a little older, 60's, 70's, but that made for a quiet stay. Lol The location was great, about 10 minutes from Old Lahina and also had other shopping and restaurants close by. The off street parking was also very adequate and I never had trouble finding a spot. This facility is great. Great location, great beach, great park, and Valerie in the front office is great too. Great Location close to everything you need. I enjoyed the small beach just steps away from the pool. Not many people used it, gentle enough for snorkeling and we observed turtles from the shore. The common area was lovely and well maintained. Off street parking and laundry facility a plus. 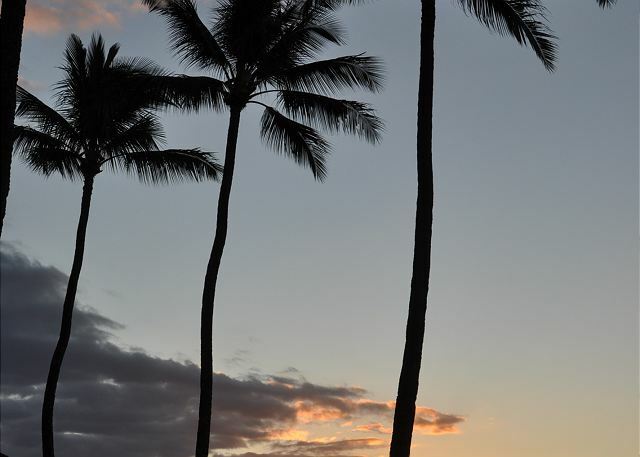 Sunsets from the lanai were awesome. The guide books and other local books at the condo were useful; there were 2 beach chairs. 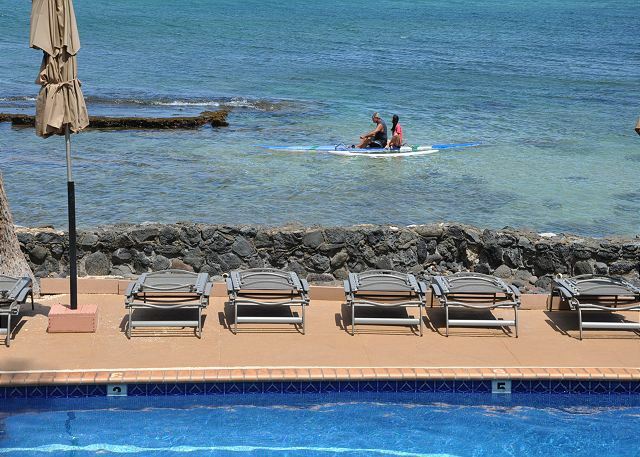 Snorkel rentals are a short walk away at Boss Frogs. We’ve stayed at places that had boogie boards, etc. that would be nice here. The unit itself was OK, pretty much what you’d expect. The condo was exactly as described. Clean and very well stocked. The view is amazing, the location is perfect. A short walk to the farmers market, bad a$$ coffee, and the ABC store, Times market and Java Jazz. A little further, about a mile and you are at Dukes! Then, you are right next to a perfect little beach where we saw many turtles. The condo itself was comfortable and we were able to get nice cross breezes keeping everything cool inside. The grounds were very clean, the pool was nice and cold, always a chair or lounge available. A great escape from all the big resorts with tons of people. This was the fourth time we have stayed at Hale Kai. 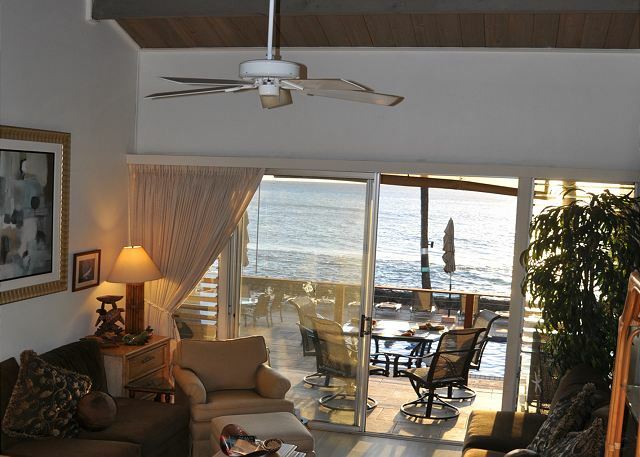 We love the laid-back quaintness of the condos and the location and view cannot be beat: Right on the ocean! The pool is small but adequate for families. The whole place has a family atmosphere. Get some fish at the Fish Market Maui, grill it on one of Hale Kai’s grills and eat dinner on your lanai overlooking the ocean. Nothing better! We are annual visitors and have stayed in this unit before. We knew where everything was located and only had to do a quick inventory to determine what was needed to flesh things out. I want to keep it a secret because I'll never be able to rent it again if people know what a gem it is. I have been going to the Hale Kai for 46 years. It is quiet with a wide view of the ocean and looks down on the pool. Don't stay in a hotel - stay here! You can BBQ your meals and meet your neighbors if you want. The staff is awesome and helpful. P E R F E C T !!! We have stayed at this location before, and absolutely love Hale Kai! The property is managed very well and you can't beat having a private beach! Condo 217 has the most amazing view, however it could use some up grading. The bed and pillows were like sleeping on a rock and we woke up every day stiff and sore. The bathroom could use an over haul as well! 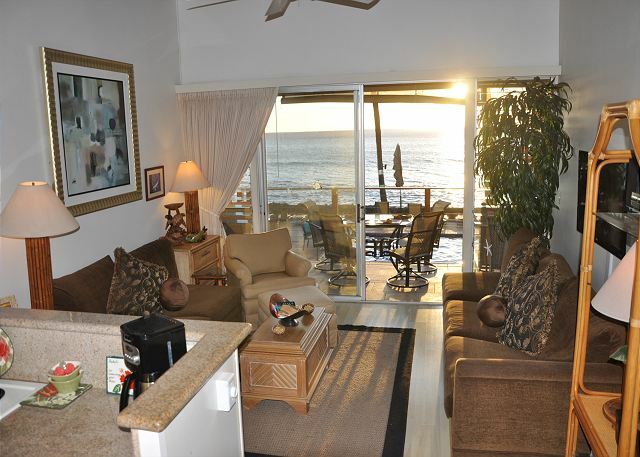 Wonderful Condo for a Maui Stay! Condo was comfortable, clean and well furnished. Great views of the ocean, and the sunset each evening. Wonderful location, can walk to farmer's market and small local restaurants. Friendly neighbors and staff on-site. The Hale Kai is the best. - Great. Stayed in unit 217. Would just suggest replacing coffee pot, since the burner was rusted. The unit could use a toaster. Other then that, things were great. Condo is right on the beach. Gorgeous views!!! Property is clean and quiet. Beautiful clean pool. Walking distance to stores, restaurants,and park. Condo was highly recommended to us by family. Would stay there again and highly recommend. It was a lovely stay with friendly management and lovely neighborhood. It was my 4 rd stay here and as always it was nothing but enjoyable. If you would like to feel home away from home, I totally recommend staying here. Also, it is walking distance from a hair salon, two markets, and several places to eat. This place is awesome! This was our 3rd time at Hale Kai in the past 4 years and we have already booked for next year. We like that it is a small complex (40 units) located right on the beach. The common areas are well maintained - pool and BBQ's always clean. Our unit, #217, was great. 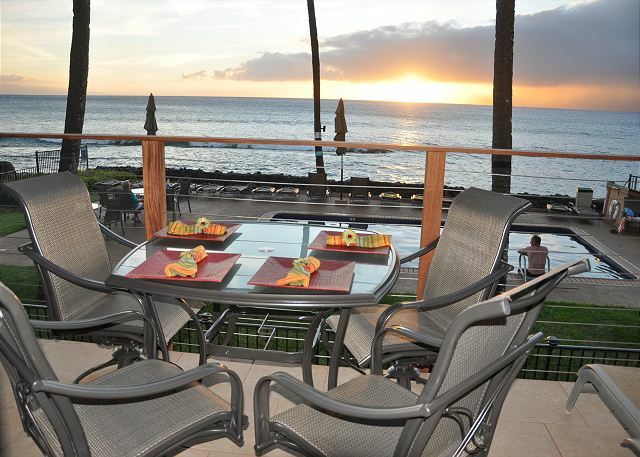 The lanai is a perfect place to watch sunsets & the turtles in the surf, and we even saw whales fairly close in. We had a perfect time in 217. The lanai looking over the water and pool is perfect, and at a bargain! We used the beach gear every day. Walking distance to a few rtine and excellent food stops, beach park right next door, conveniently close to Lahaina and Napili Bay. Quiet, private and perfect. Valerie was helpful and very sweet. We will be back as soon as we can be! Mahalo! Jeannifer E from Cerritos, CA does not recommend this vacation rental. 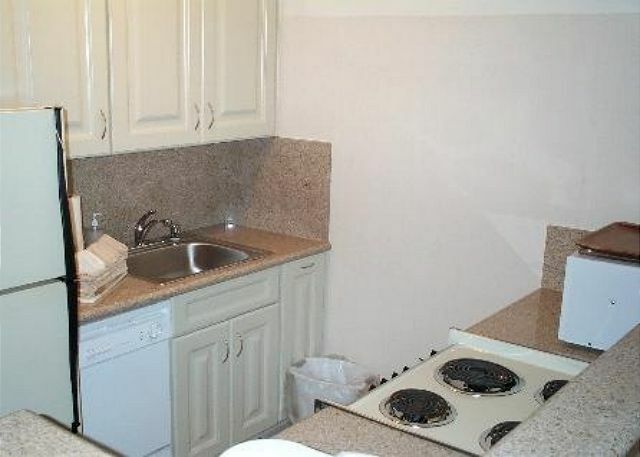 The view is really the main selling point of this rental. Right in front of the pool that is in front of the ocean. tiny beach to the right side with beautiful majestic sea turtles living in the shallow rocks. sunsets are amazing. But. It's old. It smelled old. And another big but.... no air-conditioning! I about died of the heat. Even with the windows open and the fans going full blast it was hot. Of course, tropical island in July.... I get it. If the windows maybe could have screens so it doesn't get so dusty.... that would be great! The shower needs to be redone. It's old and yellowing. The over decorated and crowded living area needs a good cleaning too. 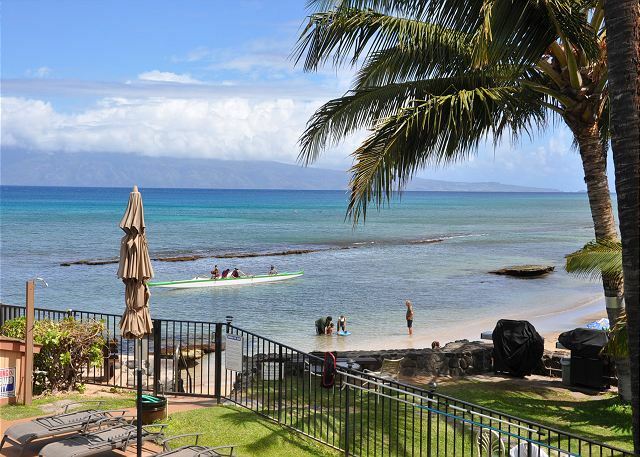 We chose Hale Kai for its good price, great location and nice views. Little did we realize just how nice it was. We looked out over the pool to the ocean and perfect sunsets. The water just in front of Hale Kai has a small rocky reef, but on either side of the property are small but nice beaches. Every day we saw large sea turtles feeding and sunning on the rocks. At one point we saw 5 at the same time. I got to snorkel and swim with one of them. What an experience to share the water with such a large, gentle creature. Our condo was perhaps smaller than we expected, but was very comfortable. I would recommend this unit, or any unit at Hale Kai. Wonderful stay, but would not recommend this unit. Sharon H from Cobble Hill, BC does not recommend this vacation rental. Wonderful complex, however our property (217) is in need of significant work. Excellent view, but kitchen not very functional. We're not looking for top of the line, but functionality is important. Dishwasher did not work; fridge is very rust-stained (aesthetic); no shelving on fridge door made it considerably less functional. Unit is also unnecessarily over-furnished which gives it a very cramped feeling. Love the location and the complex and would recommend that, but would not stay in this unit again. 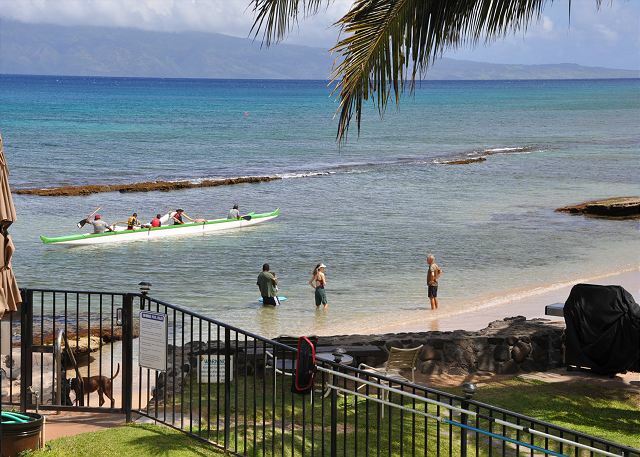 Mahalo for staying with us at Hale Kai. Being on ocean with our wonderful views. Shortly after you left the new refrigerator and dishwasher were delivered. Sorry for any inconvenience you had during your stay. Owner did get some new furnishings to clear up more living space. We will be taking new pictures of the unit for our web site in the next month. A treasure, wonderful place to stay! The top unit was wonderful, own beach, great location to walk to the stores or coffee. Great place for the quite mind. The location and view were amazing. The time we spent there was truly relaxing and well worth it, watching the sea turtles right outside the property. The vacation was a good time & the property it was nice. I liked the windows & the big slider door at the back... the breeze would blow place. It had everything we needed. HOWEVER-the bathroom shower floor & the side of the refrigerator. HINT TO MANAGEMENT: Bathroom shower floor needs resurfacing or something. This was the perfect place; away from the rush and busyness of the crowded tourist areas yet within a few minutes of the best beaches and large resorts and shopping. The facilities are awesome without being too expensive. We would definitely would come back. We had a wonderful time. Awesome view from our porch/condo watching the whales and sunsets. Great location - walkable to beaches, grocery store, health food store and good restaurants. comfortable, but kitchen is in need of new appliances and utensils/Frying pan, hot pads etc. Need better lighting by grills. Too much furniture - too crowded. Hard to work TV and Videos. Everything worked out perfectly and we had a wonderful time! Great location,a person couldn't get any closer to the ocean and the beach. Good place to view sea turtles. 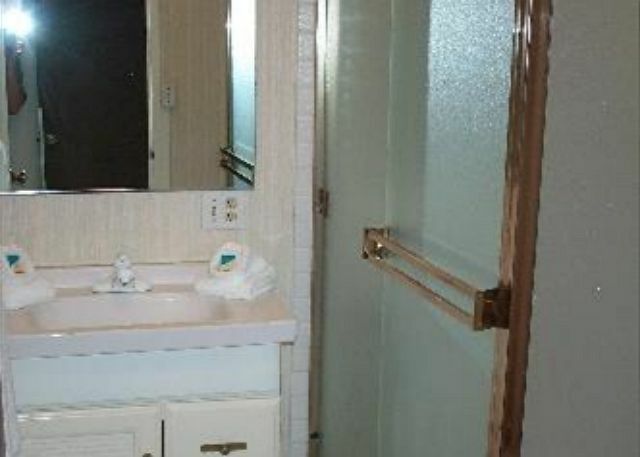 The property is well maintained including a clean pool. This unit could really use some updating in the kitchen and bathroom, and better bedding and pillows. Amenities are close by, Whaler's Village Mall, and restaurants. Enjoyed Duke's and Leilani's, and the market down the street. Neighborhood feel; not part of resort complexes nearby. We have stayed here twice, and this place is a treasure! Units are very comfortable and well-equipped, and the grounds and buildings are well-kept. But the best part is that the complex is right next to a state park, where you can walk along the beach and watch the babies and dogs go in the water. We will be back! We had a very relaxing time, our views were fabulous, the staff friendly & very helpful and went the extra mile (literally, to take us to the local airport for our departure because the taxi co. wouldn't). Although the condo was a little dated, with a couple of minor maintenance issues, it felt very comfortable, had everything (and more than) you needed, it was perfect for us. A special treat were the turtles feeding immediately in front of the condos, if you can't afford a snorkle tour, pick up mask, snorkle & flippers from the ABC store and get all the turtles and tropical fish you want. We had a fabulous relaxing time, thanks. My husband and I loved having our own Apt with a kitchen,and looking out every morning at the beautiful pacific ocean.W'ell be back. It was awesome as it always is! The units are clean, it's quiet, the pool is clean and well maintained. Valerie and the office staff are lovely and always helpful. We love coming to stay at Hale Kai. Nice place-a bit too much furniture but was fine. So easy to find this wonderful place online to book it. The photos really tell the story before you book; no surprises when you get there. Everything went so smooth. Wonderful location; incredible view; friendly people. We were fortunate to have stayed in room #217 at the Hale Kai for 2 WEEKS! We were also albe to view other properities of friends who travelled at the same time as us. We were quite impressed with the "fanciness" of their accomodations, but NONE of them had the same convenience as our location did. We were able to vacation ON OUR OWN TERMS! Our own everything....private beach, private pool, full kitchen, large bedroom, clean grounds, our own BBQ's to use, convenient walk to stores, restaraunts and shops and ohhhh lets not forget...OUR OWN VISITING TURTLES...ON OUR BEACH! Loved staying in the Hunt's unit and plan on booking it plus 2 others for Christmas of 2015! Hale Kai is a perfect and very friendly location for a perfect holiday. Our unit was excellent for Ocean view and wale watching; roomy and very good entertainment equipment (HDTV, DVD/CD players, radio etc. Especially stack of movie DVD's provided in the unit was very valuable!) We do plan to stay in Hale Kai again in the near future. We loved the apartment, it's furnishings and the "extra's" such as DVD's, boogie board, snorkling equipment and other amenities. 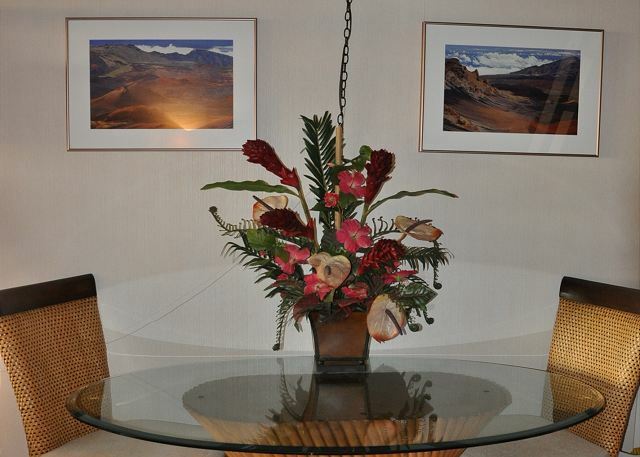 Obviously, the owner put great thought and consideration into their guests' pleasurable experiences in Hawaii. The condo was awesome! The view, the pool, the closeness of the beach, having access to barbeques, the laundry room was nice, and the location was great. We loved staying here!